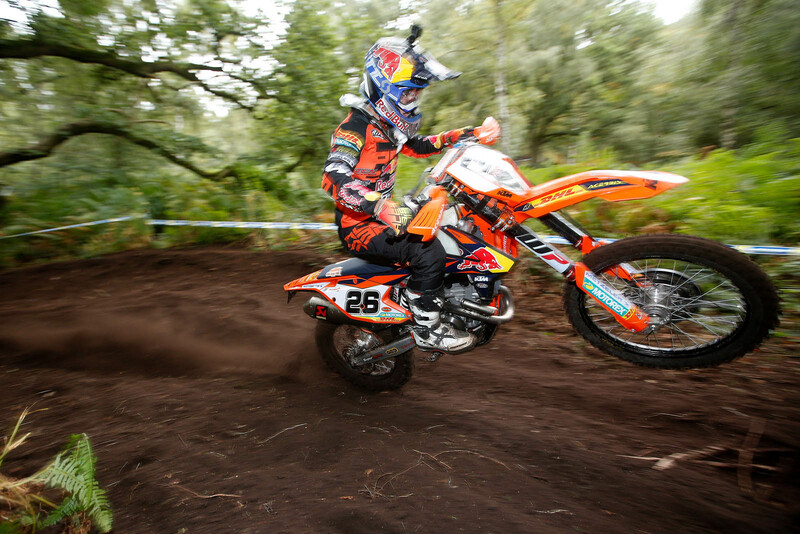 Shrewsbury, Great Britain – 22 September, 2018 — Spain’s Josep Garcia (KTM) sets the pace at round six of the World Enduro Super Series to secure the Fast Eddy Sprint Enduro win at the Hawkstone Park Cross-Country in Great Britain. 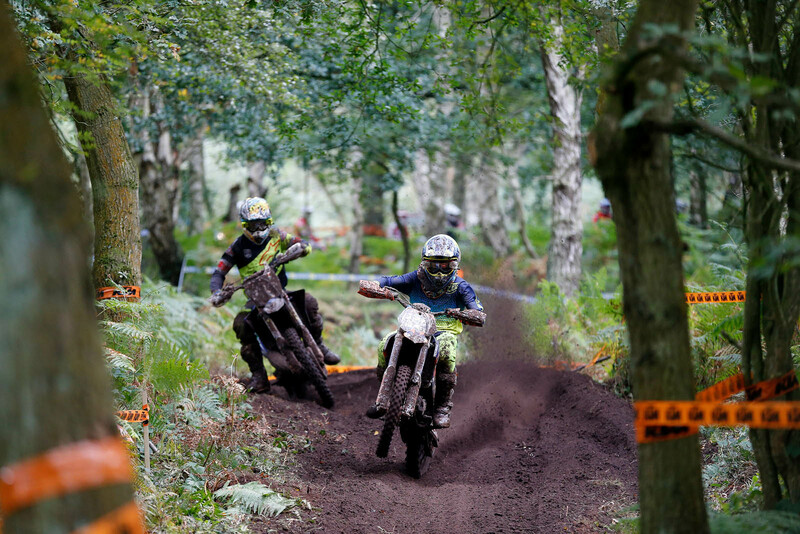 Putting in a world-class performance, Red Bull KTM Factory Racing’s Garcia stamped his authority on Saturday’s Sprint Enduro to secure a 35-second margin of victory over teammate Nathan Watson (GB). Ensuring two British riders claimed podium results, Rockstar Energy Husqvarna Factory Racing’s Billy Bolt edged out Spaniard Jaume Betriu (KTM) by two seconds for third overall. Just two weeks after round five in Poland, Great Britain’s iconic Motocross circuit Hawkstone Park opened its gates for the sixth stop of WESS. 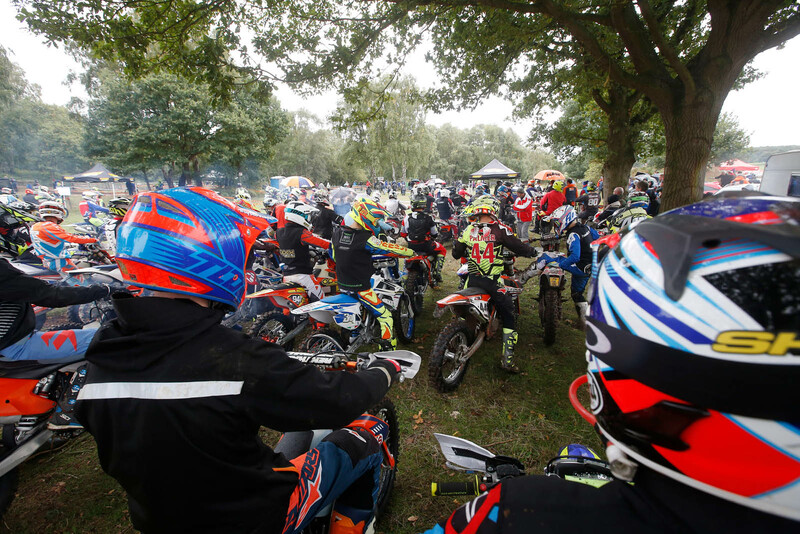 Staged over two days, Saturday’s opening day of racing saw the 650 competitors entered stretch their race-legs on the sandy Motocross track and surrounding woodland for some fast and furious Sprint Enduro racing. 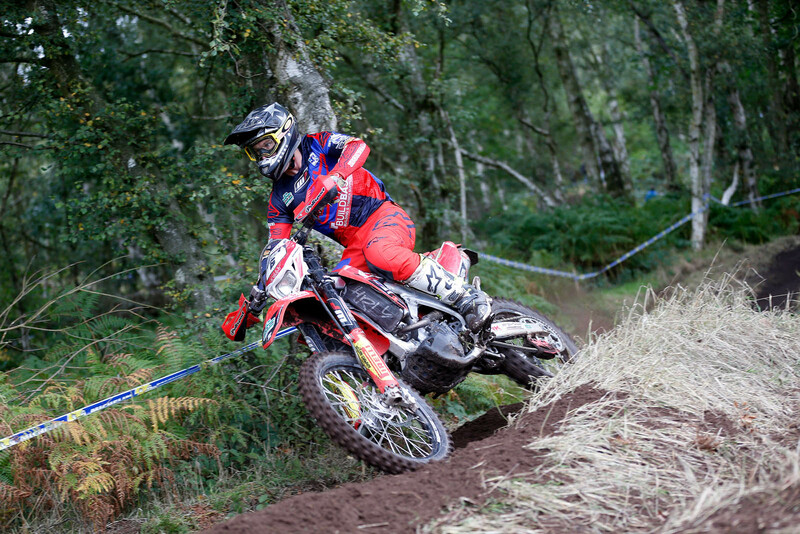 With event organisers Fast Eddy Racing laying out two spectacular special tests – Motocross and Enduro – riders competed against the clock for a qualifying place in Sunday’s Original Fast Eddy Cross-Country. Eager to show his speed, Garcia wasted no time in getting down to business. Immediately setting the bar high on the Enduro test, he blasted his way to an early 12-second lead over Bolt at the end of the opening test. Continuing his impressive pace, he controlled a lead of almost 29 seconds at the end of the third and final Enduro test over an improving Watson. Moving on to the Motocross test and Garcia set the fastest time on the opening run. Watson answered back to top test two but with Garcia turning up the heat for the final run he pulled away to end his day as the clear winner. After a disappointing opening test, Watson quickly found his feet and worked his way up the leaderboard for an eventual runner-up behind Garcia. Proving fast and comfortable on the technical Enduro test, Bolt held strong on the Motocross test to complete the top three. Despite pushing hard on the Motocross tests, Betriu was unable to gain enough ground back on Bolt and had to settle for fourth. The fight for fifth was a closely fought affair between Taddy Blazusiak (KTM – POL), championship leader Manuel Lettenbichler (KTM – GER) and British wildcard Alex Snow (Honda – GB). With just six seconds separating the trio, Blazusiak took fifth with Lettenbichler sixth and Snow in seventh. Sunday’s racing begins with a Youth and ‘Steady Eddy’ Cross-Country race in the morning before 250 competitors take on the Original Fast Eddy Cross-Country in the afternoon.